Once upon a time, there was a lover of Jim Beam and barbecue. His loves merged, and this Jim Beam bbq sauce recipe was born. The mellow smoothness of Beam bourbon whiskey greatly enhanced his best sauce recipe, and, as they say, the rest is history. I was lucky enough to have the opportunity to meet this gentleman shortly before he passed on to that great BBQ in the sky. He told me his secret recipe, and now I will share it with you. Add all of the ingredients to a large saucepan or stockpot, and bring to a boil over medium high heat. Lower the heat to medium-low and gently boil the sauce, uncovered, until it thickens, stirring every few minutes to prevent burning. After about thirty minutes or so, the sauce will have thickened and will start splattering out of the pan and onto the stove top. 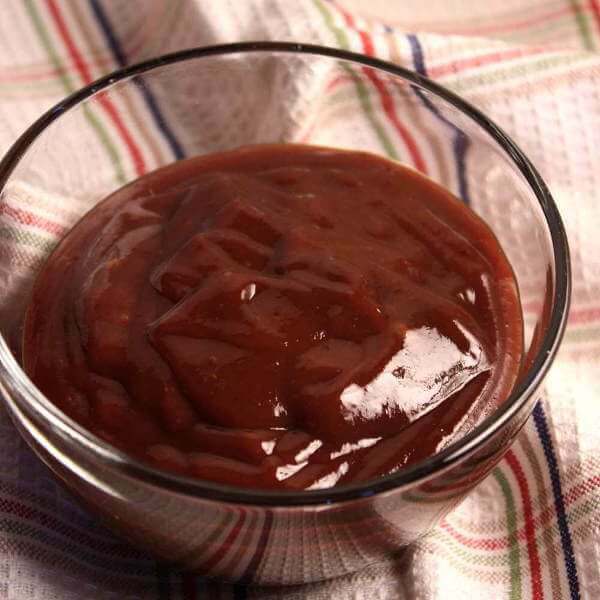 At this point, if you prefer barbecue sauce with a thinner consistency, pull it off the heat. Otherwise, drop the heat to low and stir constantly for a couple minutes more for a really thick sauce. Let your Jim Beam BBQ sauce cool and refrigerate it overnight. This sauce tastes best one or two days after it's made.